This is Part 2 of my review of the food at The Pump Bar. You can read the first part here. As peculiar as it is for a bar like The Pump (which seems so focused on drinking) to have great food, it is even more mind boggling that they have such a wonderful brunch. So the idea that those same people (and many of them are the same) are stumbling right back to The Pump at 11 a.m. Saturday morning for breakfast and some hair of the dog is impressive. Then the dishes arrive and you understand. The Pump makes industrial-strength drinks. One is probably enough, though folks rarely stop at one. So when they designed a brunch menu, they filled it with industrial-strength hangover food that seems custom-made to help you survive last night’s misdeeds. As with the dinner menu, The Pump’s brunch food isn’t good for a bar — it’s just good. Whether you’ve never touched a drop (hi, mom!) or you never leave a drop in the bottle, this is a great collection of dishes. The Pump knows its audience, which is why the brunch drink menu is just as experimental as the food. 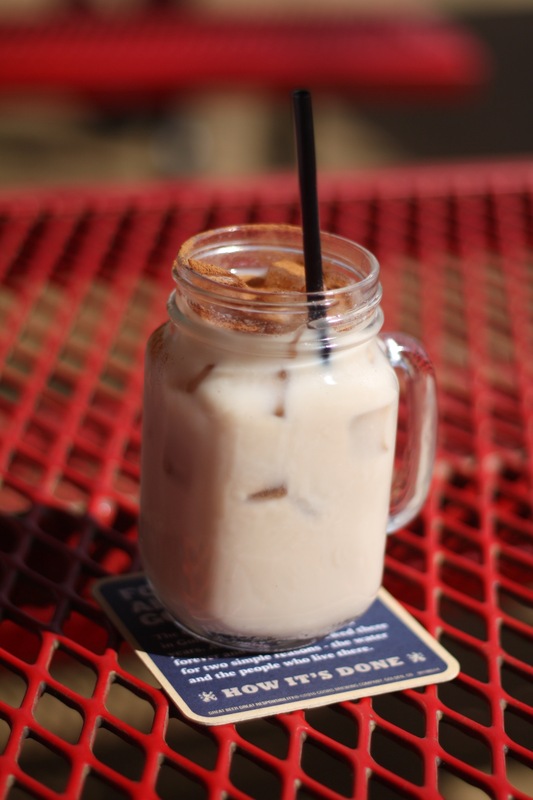 The Hangover Horchata ($8) is a mix of dark rum and a house-made horchata — a delightful creamy and sweet rice-based beverage. 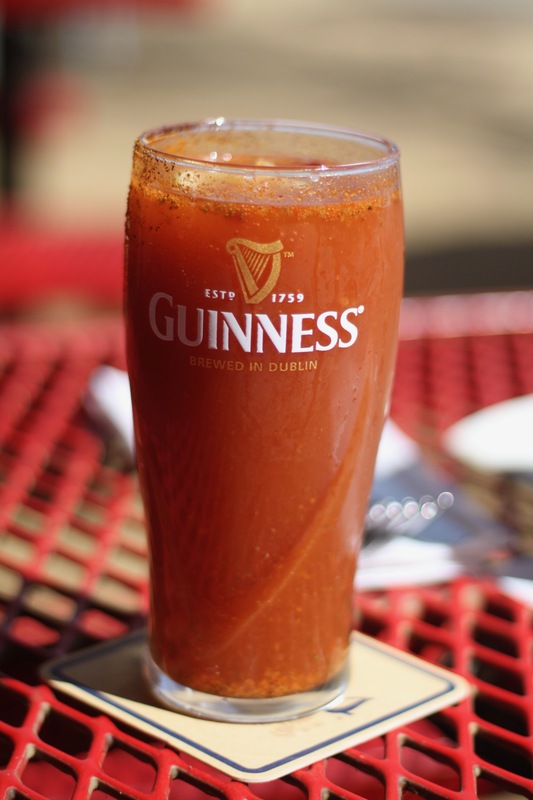 The “Illegal Bloody Marys” section is a call back to the bar’s role in changing the way ABLE works. The GM of The Pump was arrested because the bar was infusing vodka for Bloody Marys. Turns out the problem was they were pouring the alcohol back into the original bottle, which was a no-no. Regardless, you can get a bevy of great drinks made with their own infused vodkas. I actually switched it up and got a Solar Flare ($1.50) which can be added to any bloody beer for an extra kick. They make a tincture of Carolina Reaper peppers mixed with fermented habanero paste and stir it in. Woo. Lawd. This is the stuff. This seems like a good place to remind you that The Pump is always 21-and-older only. Don’t bring your kids. You will be turned away. Once you’re properly lubricated, you’re supposed to order the chorizo benedict ($12). 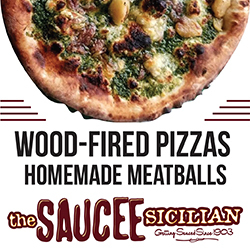 I mean, you can order other stuff, but this is the one you have to try at least once. The base of the dish is sweet, moist cornbread topped with one of the most palatable chorizos I’ve had in OKC. I like chorizo a lot, but it can be very intense. 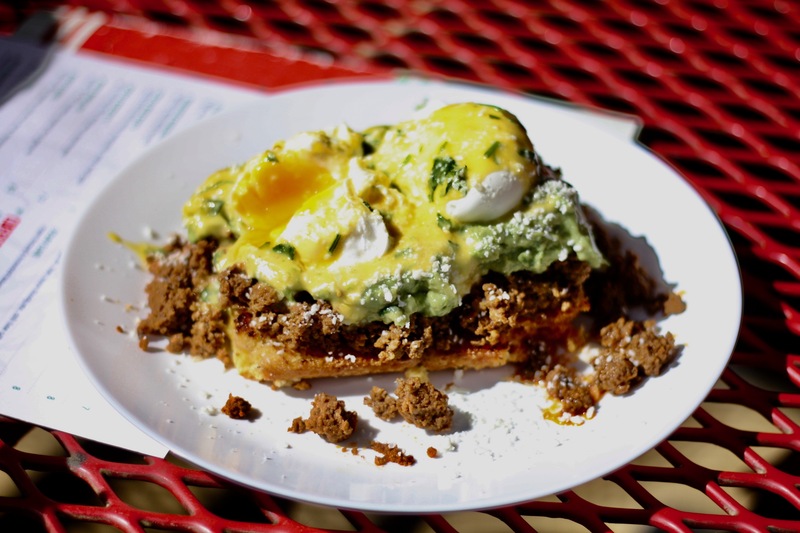 Those afraid of spice should not fear this dish, especially with a pair of poached eggs, guacamole and cilantro hollandaise ready to douse any spice with rich, fatty flavors. 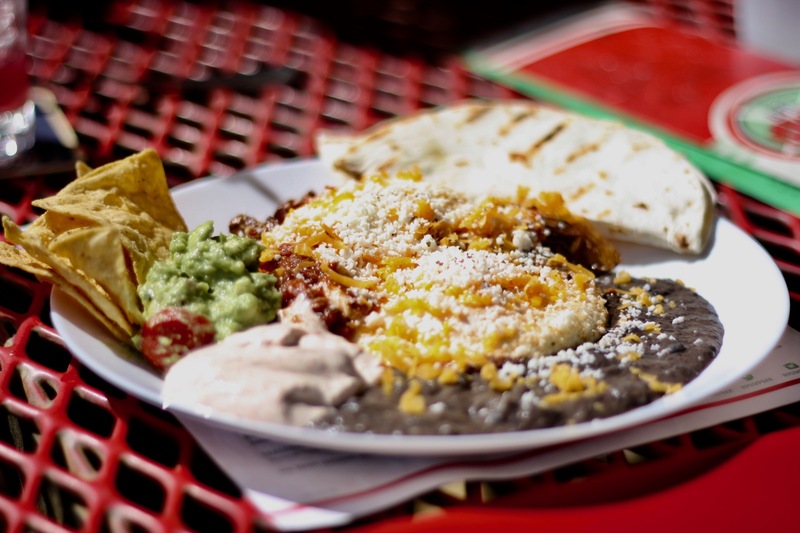 Huevos rancheros ($9) is a vegetarian dish, but don’t hold that against it. The Pump goes a step beyond the normal and fries the eggs in salsa, which gives it a big flavor boost. Chop them up and let the runny yolks mix with refried black beans, home fries, guacamole and chili-infused sour cream. It quickly turns into a mess, but you didn’t come to a bar for brunch because you’re afraid to use a napkin. My streak of delicious French toasts continues, despite my general aversion to the dish, with the bacon French toast ($8). The key here is the bread, a dense, buttery brioche, that holds its own against honey-bacon cream cheese and bourbon-maple syrup. Here’s how good this French toast is: the bacon (expertly cooked, thick and glorious) was an afterthought. It didn’t go to waste, mind you, but every other part of this recipe works so well, the bacon is just a bonus. The dish I likely would never order on my own is the traditional breakfast ($10), if only because it sounds so boring. Poached eggs. Home fries. Brioche toast. Yum, but yawn. Then you spy the maple-blueberry sausage patties with big, gloriously juicy blueberries fried alongside the delicious pork sausage. Oh, and there’s strawberry jam. House-made strawberry jam. Jam that rivals my aunt Eva Jean’s strawberry jam, which will be used for currency when this whole system goes down. The massive burrito ($9), as so many other dishes at The Pump, takes the good and makes it great by pan-grilling the tortilla to a golden crisp. Inside are eggs, sausage hash and cheese. Outside are refried beans, salsa verde, chili-infused sour cream and queso fresco. It’s not revolutionary, but it’s those little touches that keep people coming back time and again. Bagel & lox ($13) is the most expensive dish on the menu and it still seems like a bargain. You get a rose of rolled smoked salmon, lightly seasoned cream cheese, salty capers and a red onion gastrique along with your bagel. That gastrique has all the sweet, jammy qualities of red onion without any of the bitterness. Dang, you guys. I mean, dang. One thing I’ll point out here is something my buddy Paul noted: There’s no fruit on this menu. That is true. 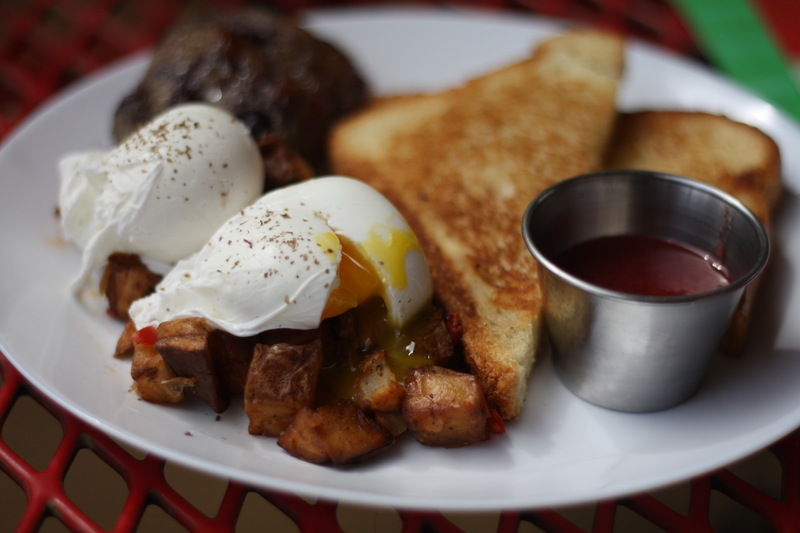 The Pump’s one brunch flaw might be the lack of a “lighter” option. So far as it goes, the bagel & lox is your best bet for something that will leave you nimble for the rest of the day. The biscuits and gravy ($5) are not a lighter option, but I loved them regardless. 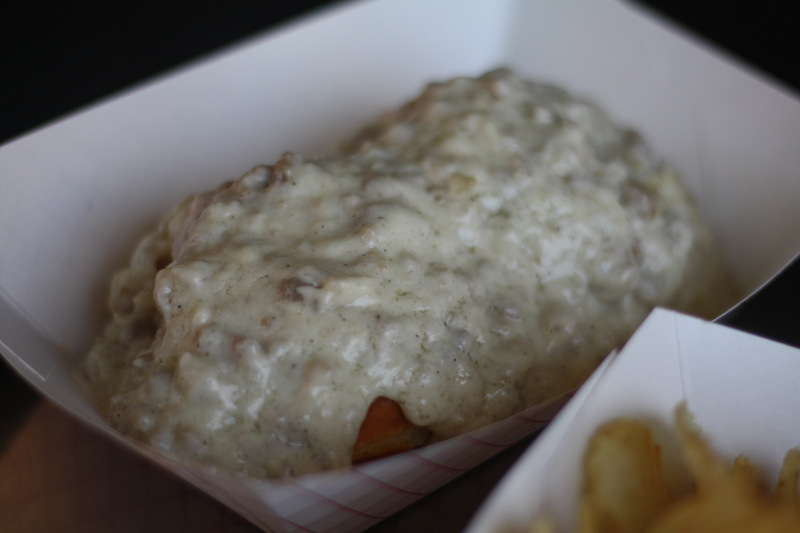 While some places tend to give you a single biscuit split in two, The Pump drops two full-sized biscuits in a tray and ladles on sausage gravy that had an almost frothy, whipped texture. Apologies if that doesn’t sound appetizing, because I thought it was amazing. It’s a very buttery, creamy, salty dish. Add a few shakes of Cholula to liven it up. Finally, there’s the brunch burger ($11). And it does have an air of finality to it, because it’s probably the last meal you’re going to eat before a very long nap. Dress for the occasion, too, because this burger is messier than your last breakup. It’s a big beef burger patty on a jalapeno-cheddar bagel with bacon and a poached egg. This is so weird, I’m not even sure I’m writing it, but I kind of wish there was lettuce and a tomato on here. It’s as rich as the President claims he is and a little greenery would add needed balance to the dish. But let’s be honest: The Pump isn’t where we go to for balance; it’s where we go for indulgence. And the brunch menu is just as indulgent as the drinks they’re pouring, for which I am particularly grateful. Brunch hours: Sat - Sun 11 a.m. - 4 p.m.